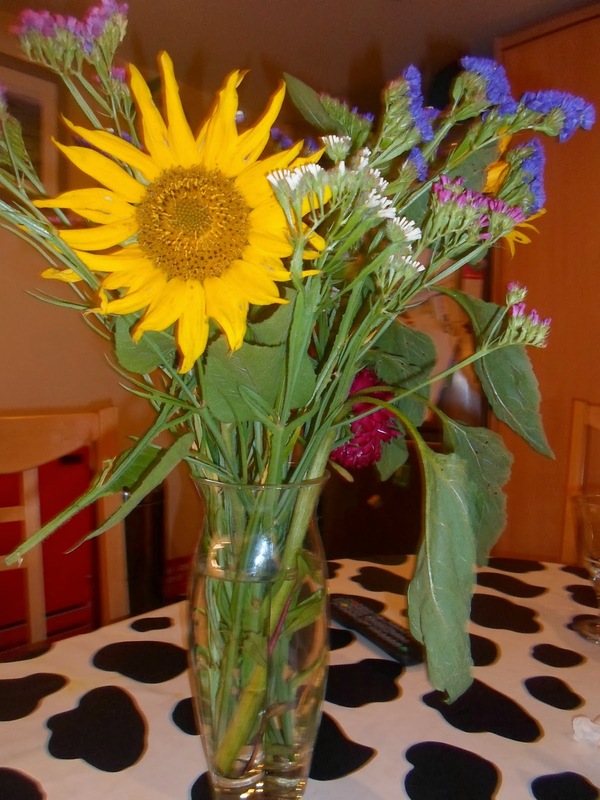 Luke chose these flowers from the garden to put in a vase on the table. The sunflowers were about 3 feet tall and as I didn't have a vase that tall we had to cut them down a little. I think the petals on the sunflower look great, this one really does look like a sun!